December 31, 2018  The government shutdown enters its 10th day. Volunteers in El Paso, Texas, staff pop-up medical clinics to screen migrant children at the border. Ballots are counted in Congo's presidential election. December 21, 2018  Defense Secretary Jim Mattis will leave the Trump administration in February. Congress still has time to avert a government shutdown. And, Secretary of State Mike Pompeo is asked: Is ISIS defeated? December 20, 2018  NPR's Ailsa Chang speaks with host Steve Inskeep about the highlights of his interview with Secretary of State Mike Pompeo. December 18, 2018  Ex-national security adviser Michael Flynn is sentenced Tuesday. CBS denies ex-CEO Les Moonves $120 million in severance. And, regulators failed to stop an epidemic killing thousands of coal miners. December 17, 2018  The White House makes more personnel moves as a government shutdown looms. A federal judge's ruling threatens Obamacare. The latest in the sexual harassment case against movie mogul Harvey Weinstein. December 13, 2018  Two sources implicate Trump in illegal campaign contributions. Nancy Pelosi agrees to a term limit to secure House speaker job. Government shelters are filled to near capacity with migrant children. December 11, 2018  After a high-profile shooting, national attention naturally focuses on those who are killed. However, shooting survivors often struggle with recovery and disability for years and decades afterward. December 10, 2018  After struggling to find enough legislative support to pass her Brexit plan, British Prime Minister Theresa May has postponed the vote on the United Kingdom's deal to separate from the European Union. December 7, 2018  Robert Mueller faces 2 deadlines regarding ex-Trump associates. Tensions continue after the U.S. requested the arrest of a Chinese executive. France's yellow vest movement demands more concessions. 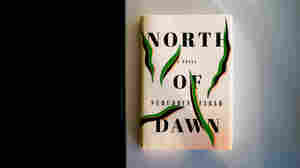 December 4, 2018  Author Nuruddin Farah writes about immigration and radicalization in his latest novel North of Dawn, which follows a Somali living in exile in Norway whose son chooses a dangerously extreme path. November 29, 2018  Donald Trump's former attorney, Michael Cohen, and others continued negotiations with Russian interlocutors about a potential Trump Tower in Moscow as late as June of 2016, Cohen has acknowledged. November 29, 2018  German authorities raided the offices of Deutsche Bank in Frankfurt on Thursday morning. Police and federal prosecutors were apparently looking for evidence of money laundering.